Kentucky Commissioner of Agriculture Ryan Quarles toured MASTER Provisions in Florence Wednesday and liked what he saw. Quarles, who started the Kentucky Hunger Initiative to build collaborative partnerships that will minimize hunger in Commonwealth, said he was “blown away’ by the efforts of the non-profit agency. MASTER Provisions, which began in 1994, is a faith-based organization that provides food, clothing and orphan care in the U.S. and around the world. In 2014, the organization began providing food to hunger relief agencies that serve the tri-state region of Greater Cincinnati, Northern Kentucky and Southwest Indiana. 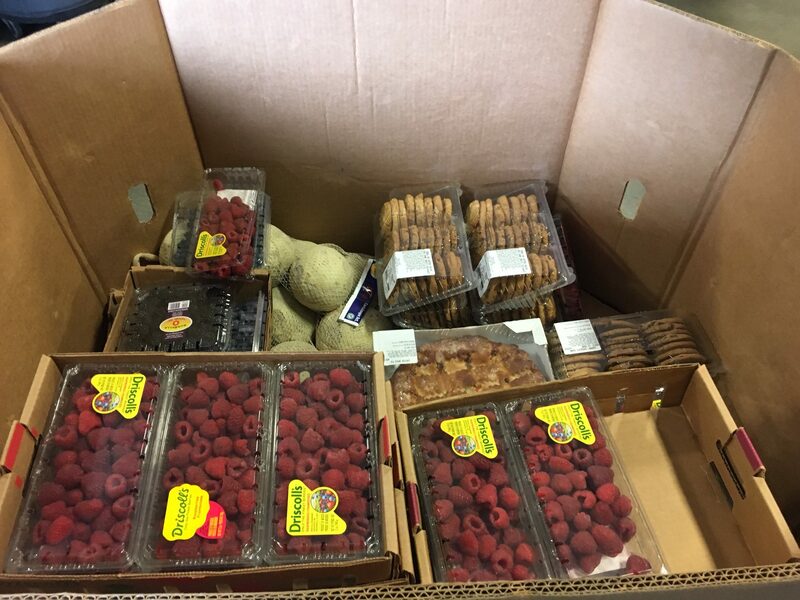 MASTER Provisions collects high quality, fresh food that would otherwise go to waste, stores and manages it safely, and makes it available to its food partner agencies. The food outreach has become the largest of MP’s mission activities. 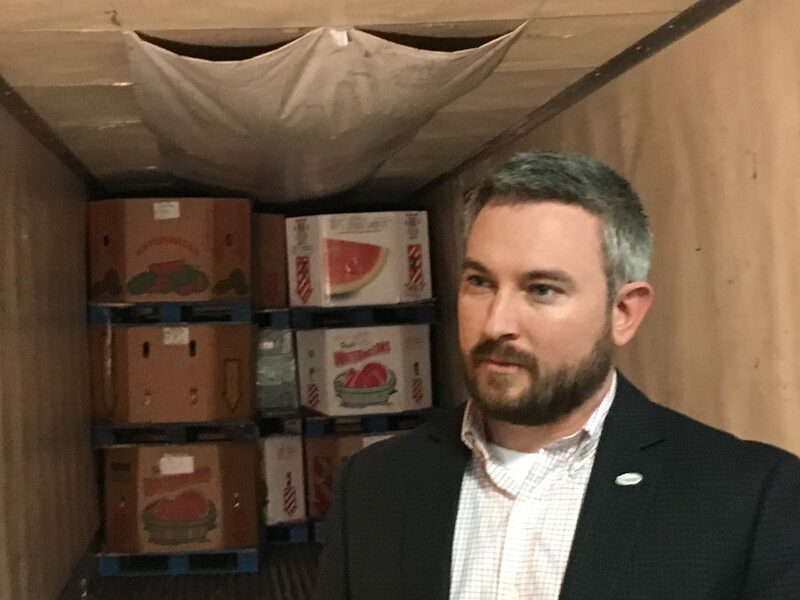 John Eldridge, Director of Local Outreach and Food Operations for MASTER Provisions, gave Quarles a tour of the facility, which includes a 1,408 square-foot cold storage and freezer unit. The unit doubled the cold storage space available to area nonprofits engaged in hunger relief. Quarles said having adequate space for food is critical to ensure food that becomes available does not go to waste. “One of the biggest issues we’ve been hit by is lack of storage,” Quarles said. “We are starting an initiative that when gas stations renovate, they donate coolers. The Hunger initiative is also focused on education and public awareness of hunger and strengthening Kentucky’s food-distribution infrastructure to enable farmers to better serve the needs of Kentuckians. A few of the food items that will be distributed to local families through the efforts of MASTER Provisions. On the last Saturday of every month, MASTER Provisions takes its Mobile Food Pantry out into the community, because its research has shown that is the time of greatest need. Quarles said he recently had a meeting to discuss the logistics of delivering food to those who need it. MASTER Provisions is able to offset the costs because of the volume it deals with and its large network of volunteers. It costs the organization about 10 cents per pound to distribute food. Volunteers spend about 2,000 hours a month at the food center, which is in addition to the time contributed by those that work with the mobile pantries. The Mobile Pantry also offers a friendly environment for volunteers to contribute to the community as a family. Quarles said providing regular access to food is critical and requires a change in the way people think about food donations. 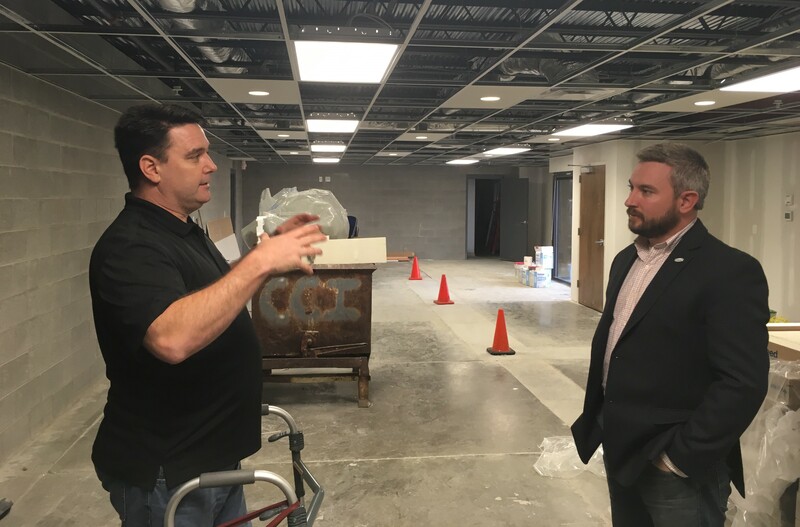 John Eldridge, director of local outreach and food operations, talks with Agriculture Secretary Ryan Quarles about the services provided by MASTER Provisions Wednesday This part of the facility is being developed as the Nelson SAVE center, a flex space that can be used for meetings. The mobile pantries also serve a hot meal and an outdoor dining area, is set up so people who are receiving donations can sit side-by-side with the people who are volunteering, or they can take the food to go. Sometimes getting 125 pounds of groceries can be challenging, but Master Provisions has addressed that issue as well. They have developed a shuttle system with vehicles donated for the day by local churches and hospitals. There is also a large staging area at the Master Provisions warehouse for clothing, which at this time of year includes a lot of coats, hats, gloves and scarves. Eldridge said the items are critical because for many living in poverty, public transportation or walking is a way of life. MASTER provisions is also constructing the Nelson Service and Volunteer Education (SAVE) Center, a flex space that will be used for meetings. Eldridge has also developed a database, with help from other agencies, to determine how many families receive assistance in a neighborhood and what their needs are. The profile sometimes include names of residents, but more importantly, indicates the number of people in a household, how many are adults, or children and other information that helps give folks the type of help they need. Quarles said it is critical to travel around the state to see facilities such as Master Provisions that have an integrated and comprehensive distribution network, which might be able to be duplicated elsewhere. Master Provisions — Wonderful program!